You are hungry and thirsty? A restaurant and a kiosk provide you with meals and drinks. 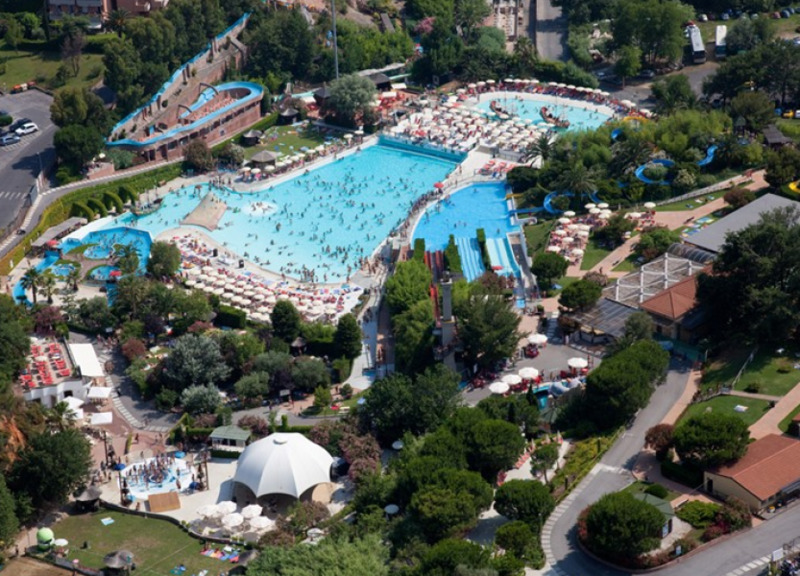 Aqua park Le Caravelle is located within the province Savona and offers many attractions for the whole family. Enjoy a day full of fun and relaxation. 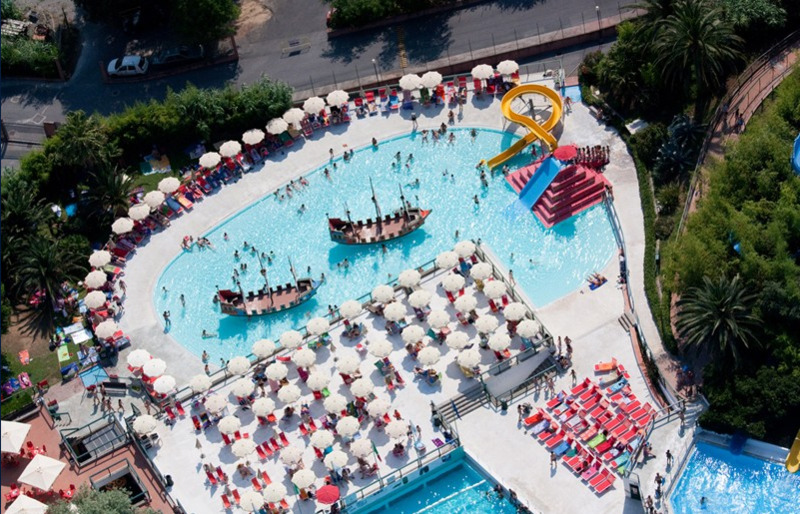 To achieve that, Le Caravelle is equipped with various slides, hydro massages, a wave pool, a children's pool with two pirate ships to climb on, loungers to relax and sunbath, and a beach volleyball field. Diners and kiosks supply snacks and refreshments. 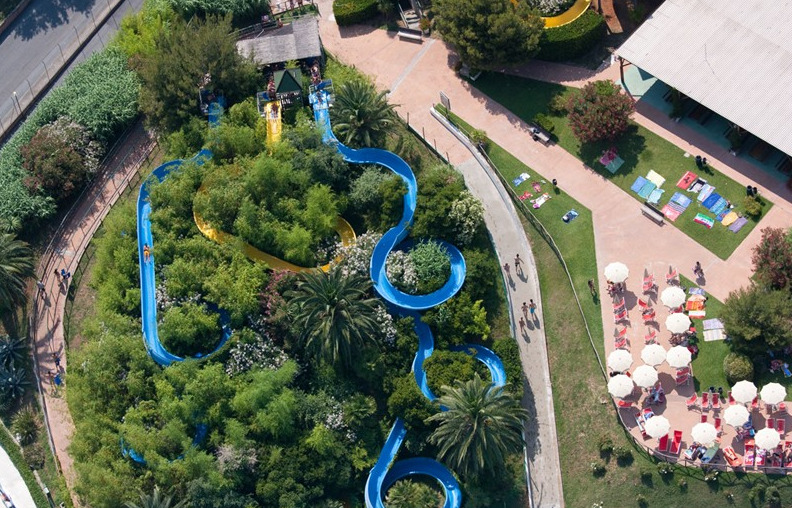 For the youngest visitors Le Caravelle offers a Baby Club, where children can play carelessly. 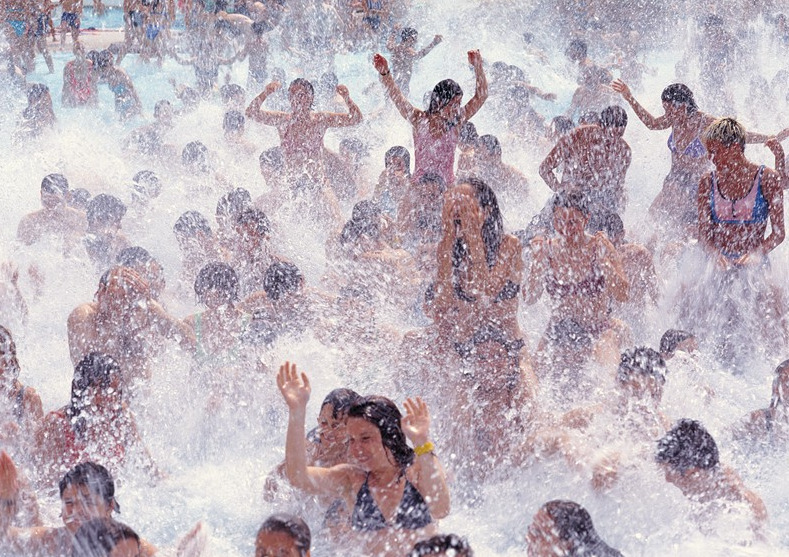 Throughout the day Aqua Park offers various activities, like water aerobics (11am), children's theatre at noon, aqua dance at 2.30 pm and at 4.30 pm the Wizard of Oz is being performed within the children's area. 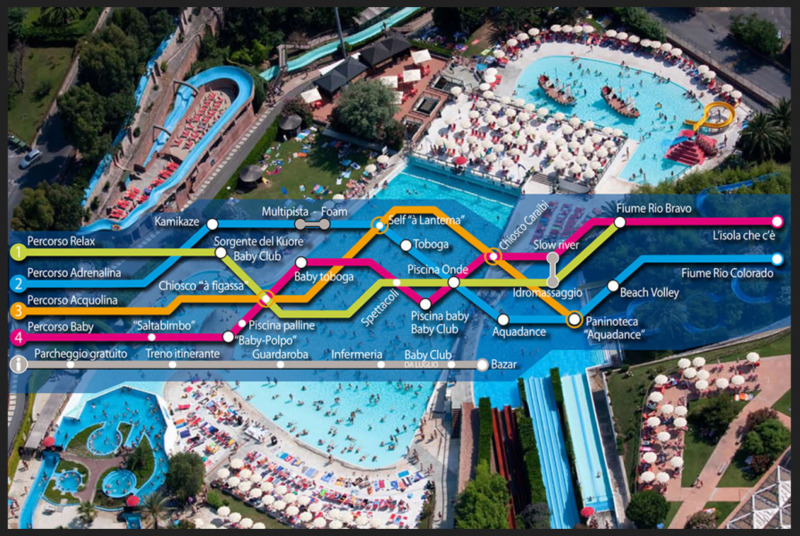 Take the Autobahn A10 and exit at „Albenga“. Follow the street to Ceriale, then follow the signs.